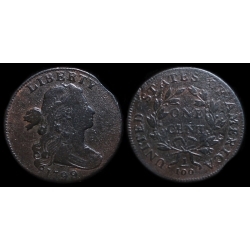 A really nice coin for a 1799 cent! Has a 1% clip @ K-1 and surfaces are the normal from the "spoiled" planchets used! 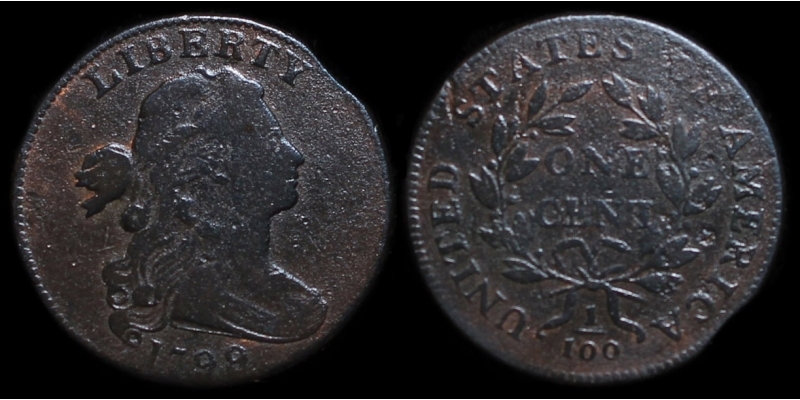 Has one mark above the 1st "S" in STATES and rest of surfaces are mark-free! The rarest date and way above average for this year. (Gray Sheet bid is $16,000). This cheap @ only $6750.